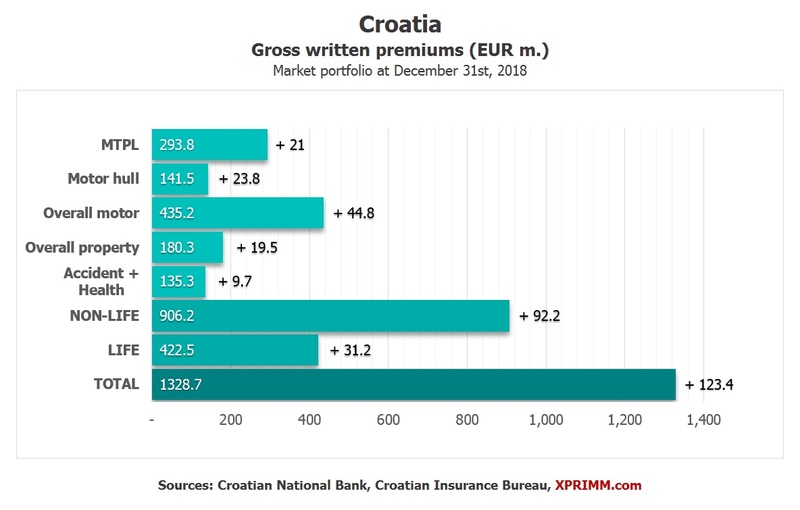 The gross written premiums of Croatian insurers totaled HRK 9.9 billion (EUR 1.3 billion) last year, up by 8.8% y-o-y, official figures show. The highest contribution to this positive evolution came from the life insurance segment and from the motor insurance lines. 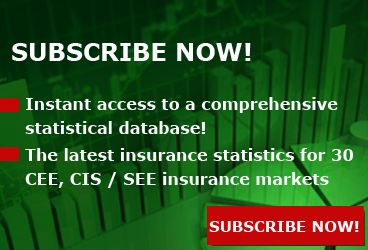 FY 2018 non-life GWP rose by 9.9% y-o-y to HRK 6.7 billion, while the life insurance segment earned premiums of HRK 3.1 billion, 6.6% above the prior-year level, according to figures published on the website of the Croatian Insurance Bureau - HUO. 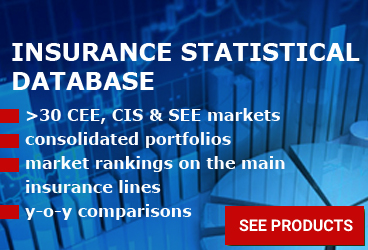 In terms of GWP, the largest insurer in the country was CROATIA Osiguranje (27.9% market share) followed by ALLIANZ Zagreb (11.8%) and EUROHERC Osiguranje (11.4%). 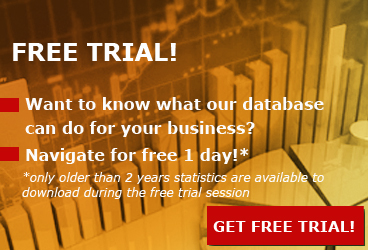 The published statistics showed during the year there were 20 active insurers in Croatia. 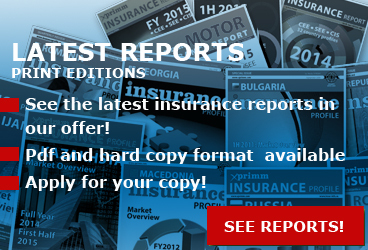 Access www.xprimm.com and download the FY2018 Croatian insurance market statistics.